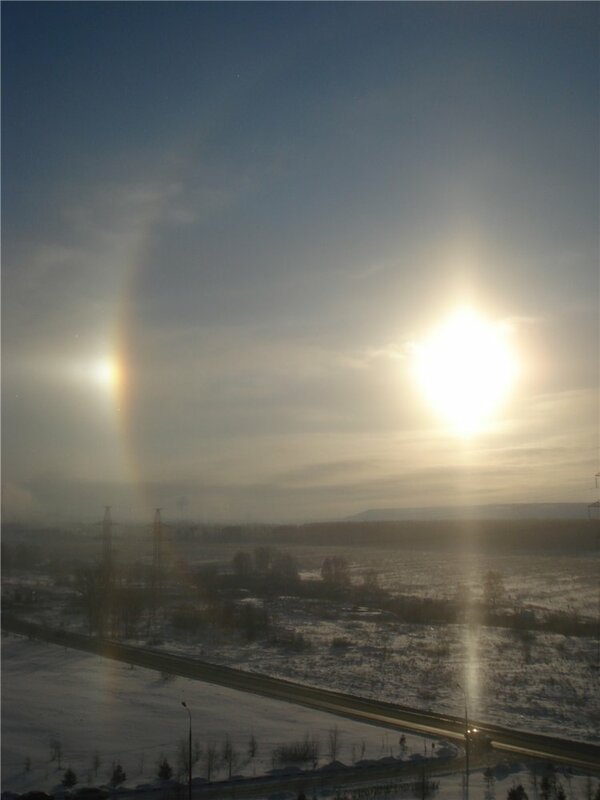 Moscow has regocnized halos! 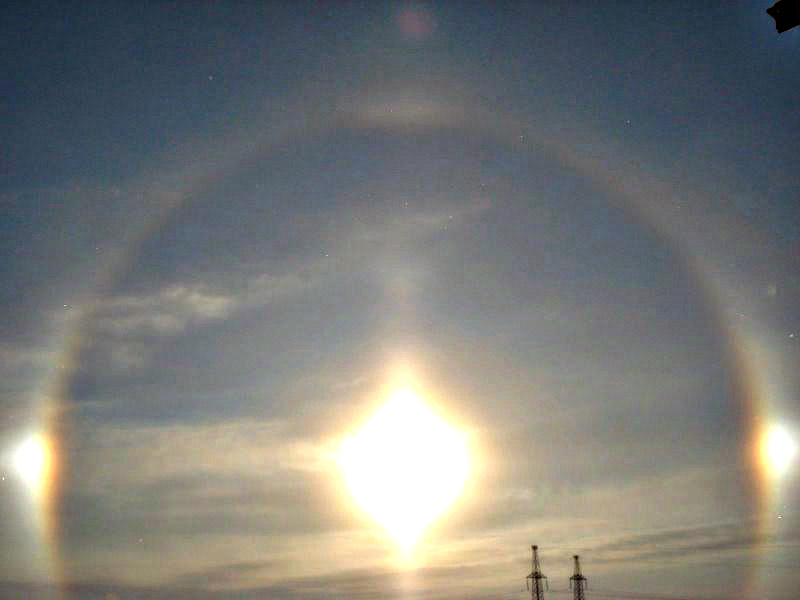 Folks in Eastern Europe and former Soviet Union states are constantly increasing their halo output. Where are the Canadian and US halo folks? There is Walt in Fairbanks and Michael in Ohio, but that's it. With all those expanses of winter land potential for diamond dust... Such a waste! The Yakovlev display has not the sharpest Moilanen arc but in intensity it equals or even exceeds parhelia and tangent arc. Crystal sample could have been interesting. 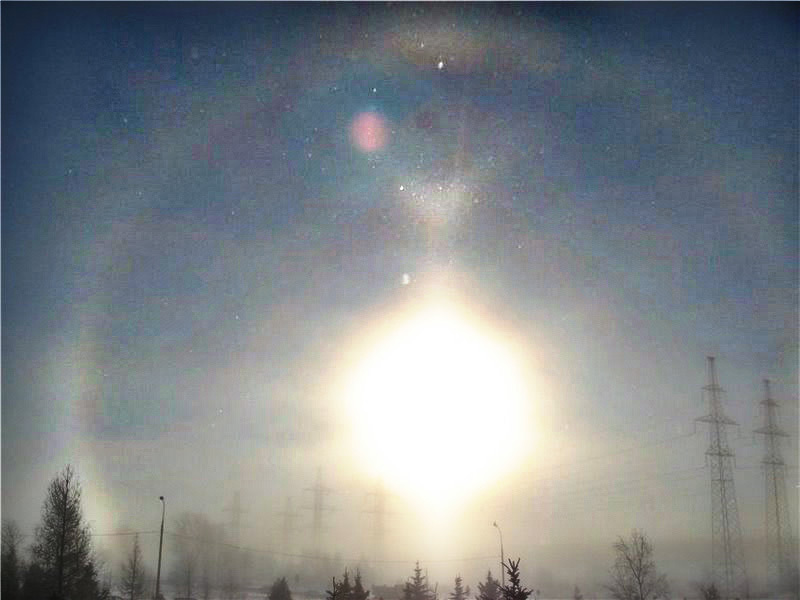 Ok, those are probably not equivivalent to the atmospheric crystals, but nevertheless photos make a nice point. Frosty trees mean diamond dust potential, air is supersaturated with respect to ice. If ice nuclei is introduced in the air in those conditions, the excess water vapor in the air will start depositing on the nuclei and diamond dust will form. The sad thing is that all too often the ice nuclei are missing and the excess humidity in the air can only deposit on ground objects. Again - such a waste. 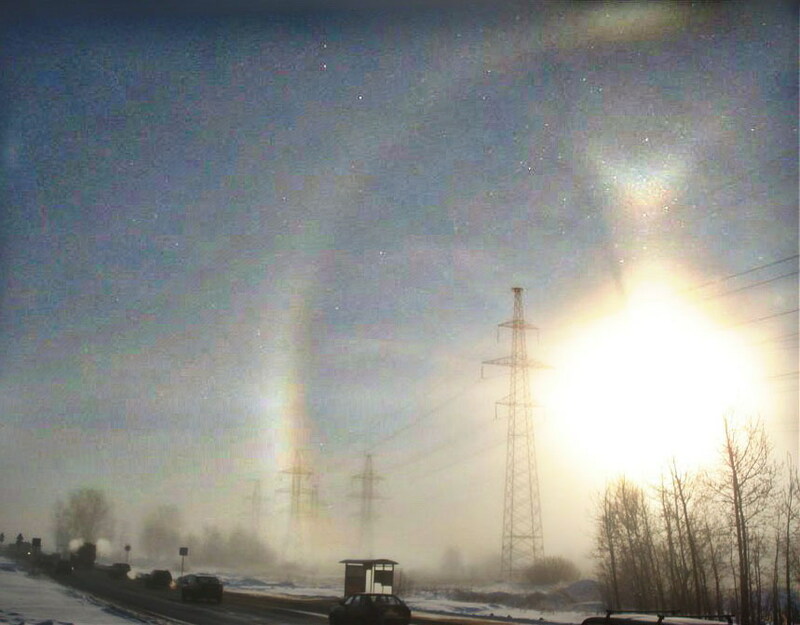 Well I would of gotten quite a few diamond dust halos near the power plants but it seems like every time the conditions are perfect I got to work that day. Why can't it do it on the weekends.